To invest in their crops, smallholders need loans. Often, however, accessing credit is hard for individuals. In India, we’re taking a team approach to improving farmers’ position. Many farmers find it difficult to get loans on their own. Organization into larger units can open bank doors that previously seemed closed to individuals. In India, Joint Liability Groups (JLGs) are a good example. The National Bank for Agriculture and Rural Development first promoted such groups in 2004-5. 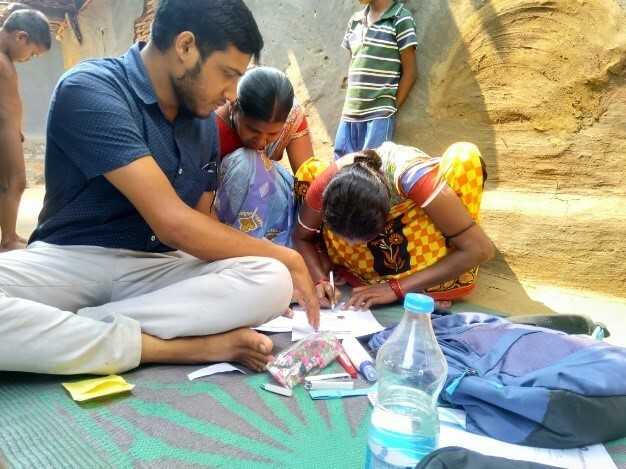 “Since then, JLGs have been instrumental in getting institutional credit to farmers’ door-steps”, says Parikrama Chowdhury from Syngenta Foundation India (SFI). As their name suggests, Joint Liability Groups divide the risk of a loan. That is important for Indian finance institutes. Across the country, many farmers have defaulted on repayment in recent years. There are multiple reasons for this credit record, but the result is the same: many bankers shy away from smallholders as potential clients. “JLGs make it easier for them to reach out to otherwise unreached and under-served households”, Parikrama explains. A JLG is an informal group of four to six people who engage in similar economic activities, and are willing jointly to repay their loans. The group provides “social collateral”. This can replace more conventional security such as land deeds. The bank sanctions the lending based on a number of criteria. These include the group’s knowledge, functioning and business potential, and the possibility of regular monitoring after credit receipt. 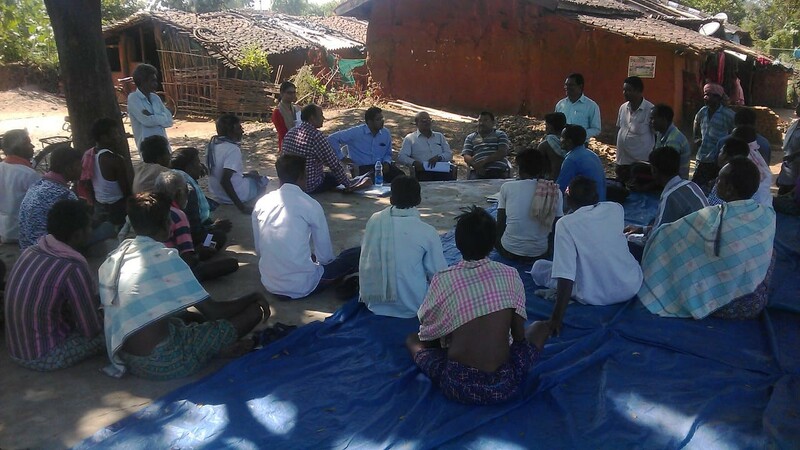 SFI wants more farmers in Odisha to benefit from this arrangement. The Foundation works through its network of Agri-Entrepreneurs there. 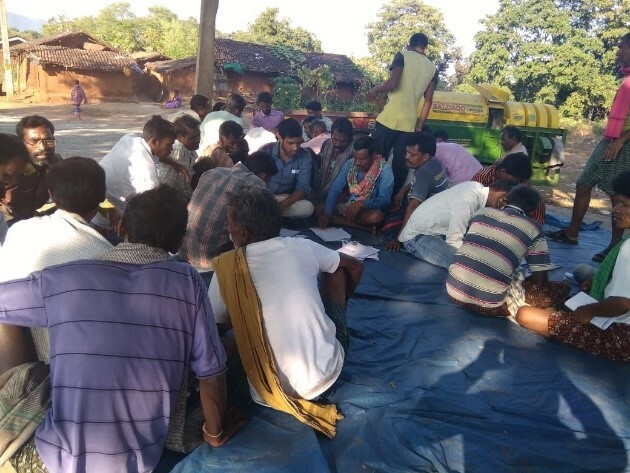 Across Junagarh and Dharamgarh blocks in Kalahandi District, 93 farmers in 17 JLGs have received a credit of INR 1,095,000. That is about $165 per head. Sums of 40 - 60,000 rupees go to each group; two nominated farmers per JLG disburse the money to fellow members. The bank sanctioned these loans in a fast time of less than two months. With 47 further groups now applying, some 300 farmers stand to access institutional credit through this approach. Our Agri-Entrepreneurs (AEs) have been working with these smallholders for two to three years. They are therefore an ideal bridge to the bankers. The AEs know the farmers very well and have built up trusting relationships. The AEs help identifies suitable members for the JLGs. They also organize regular meetings to increase farmers’ financial literacy and knowledge of good credit practices. 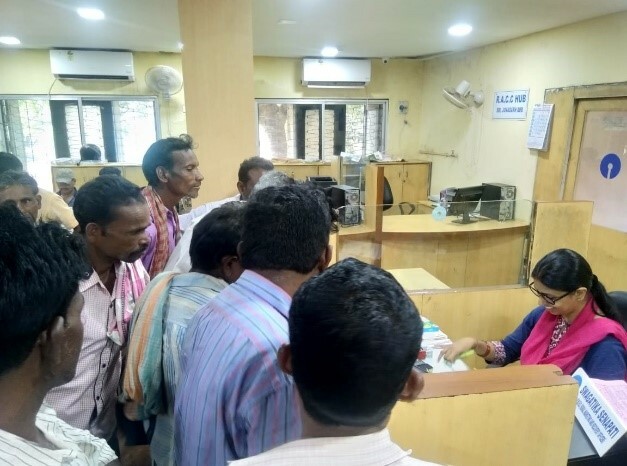 SFI Credit Head Vikram Borade, Odisha Project Lead Purna Chandra Singh and colleagues reached out to the Lead Bank Officer at State Bank of India (SBI). They suggested JLGs as a new route to financing farmers’ investments. For the SBI team in Dharamgarh, this was the first credit allocation ever through JLGs. The bankers now aim steadily to increase the number of borrowers. “One focus area for us to focus on is increasing the number of women benefiting from JLG loans”, says Parikrama.